My name is Lawrence W. Page, friends and family call me Buddy. 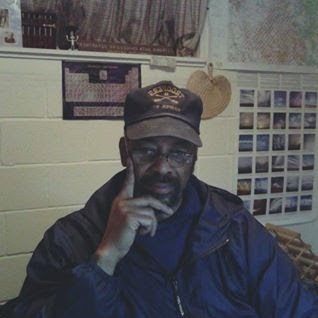 I am a 63 year-old African American male and writer. My pen name is Seven Star Hand. I am reaching out in the hopes of contacting at least one person with the compassion, resources, and ability to help me immediately, on short notice, or able to speak to someone else who can. You will also be helping the rest of the nation and ultimately the world by helping me out of my current predicament, but more on that later. I am also the well-hidden agenda of the Trump team, and have been a target of their right wing backers, starting years before Trump was convinced to become a Presidential candidate and front man for the overt racism and fascism we have all observed since. Because of their fears of the truth about what I write about and what has been done to me in recent years and why, I have been forced into a terrible predicament in the hope of shutting me down. They have ultimately failed but I need a hand out of this predicament now. I am the key to shutting down the agenda being pushed by Donald Trump and cronies. The truth about me, what has been done to me in recent years, and why, and what they have done in the shadows, will shock people into understanding their hidden agenda, but it will especially shock their deeply religious base. I have patiently accumulated surprising evidence of what they have been doing in the shadows and out of view of most. I have comprehensive proof of what they are hiding from their base. It will turn their base against them, in a way that nothing else has been able to, or can do. I have survived the worst of it and the most aggressive actions have ceased, but now I need money to extract myself from what has been done to me, and to be able to find a safe place to live, rest, and finish my work. I am taking the step of asking strangers for help, hence this letter. I am hoping that you or someone you know is willing to simply donate enough to extract me from a terrible predicament so I can finish my work and go public now. I am throwing this out here at the outset to be upfront and honest so I don't waste your time. I need help immediately. I have a Paypal account to make it safe and easy. I need a bare minimum of $2500 at one time, but if you can afford more, up to $8000, that would be wonderful. If you simply want to help but don't have the full amount, please feel free to send less. You may now decide whether to continue reading, based on this. I am hoping someone is able to show compassion for a person they have never met and have the funds to do so. This is vitally important, not only for my personal safety but ultimately for the future of the of the USA and by extension, the entire world. I was purposely forced into being homeless for long spells during the past year and aggressively harassed, intimidated, demonized, entrapped, and more during that time and in the years prior. I have been the target of a truly bizarre and multi-year illegal operation that was designed to hinder my ability to write because of the books I self-published in recent years and my ongoing analyses of the hidden content encoded by the symbolism of religious texts. Because of the efforts against me in recent years I have also been writing about the actions of the Vatican and conspiring financial and political leaders in the right wing in the USA. You are seeing some of them in the news on a regular basis now because they have grown extremely desperate and fear the Department of Justice, the judiciary, and news media. The primary book I have focused on since 2010 is titled "Finishing the Mysteries of Gods and Symbols". I have also published years of blog articles and press releases exploring the topics in my books and related archaeology and news stories. Some of what I needed to prove required that I patiently await the passage of time and the events of recent years and endure what transpired. During this time, I have been harassed, stalked, spied on, targeted by ongoing efforts to entrap, intimidate and much more. Now that I have successfully proved my assertions and claims, the Vatican and other well known people in the religious right in the USA have grown desperate in their efforts against me, and against everyone else, because of fear of discovery and the prospect of facing justice. Many events of recent years are directly related to their fears of the truth about me and about what I have proved about details throughout the canons of the three faiths of Abraham. They are also now desperate to hide the illegal actions taken against me in recent years from their political base and religious followers. They know that when the truth about me is finally understood by them, the support for the Trump administration and its financial backers and political cronies will quickly evaporate and turn to anger on the part of those they have deceived. Since I am African American, many of the efforts against me have been overtly racist and on a scale that is clearly insane, absurdly illegal, and deeply immoral. Because I am poor and African American, and those targeting me are rich and powerful, they have been able to continue the efforts against me (and others...) without legal consequences for years. Currently unfolding events have now made them truly desperate and exposed them to the scrutiny of the world through currently unfolding news, including investigations by various government and law enforcement agencies, and how those crimes intersect with long-term efforts against me. Some of those people are part of the religious right and are now on Mr. Trump's team or among his closest supporters. The Vatican has used these people as proxies to run direct actions against me, to cut off my avenues of escape, reduce my ability to support myself, hinder my ability to find a safe place to live and work, and much more. They have been fully aware that the actions taken against me locally and on the national and international stage could easily be discredited as conspiracy theories. Consequently, they have spent a significant amount of time struggling to demonize and discredit me and manipulate large numbers of people through right wing news outlets, but especially Fox News. A prime example of their arrogance and desperation, are the events that transpired on the night of August 11, 2017 in Charlottesville Va. The large "Tiki torch march" of Neo-Nazi and "white nationalists" occurred on that night because it was also my 62nd birthday. I am also the hidden reason why the Tiki torches were selected, in direct response to my earlier FaceBook posts of a song titled Tiki Man, by a band called DeadBolt. The date of August 11th and the selection of Tiki Torches and the content of their chants were made so that I would understand the message was directed at me personally by large numbers of racist individuals assembled in that manner. This event is merely one of a long string of similarly absurd and aggressive responses designed to create a smokescreen while sending messages in the hope of intimidating me into ceasing my writing and my investigations concerning the Vatican, Rupert Murdoch, and others. Now that also includes people on our current President's team, including him. I have written and posted a lot of detail on my blogs and my Facebook page since the self publication of my book in 2010. It is too much for any one person to delve into and understand in a short period. It is all available for your review. My websites and social media links are below. There are other links on my web page. As you will see, I have been writing under the pen name "Seven Star Hand" which is based on the symbolism in various religious texts, but especially the Book of Revelation. My focus has been on the symbolism of ancient religious texts, related archaeology and related sources. As you will also see, I have been working to prove things about myself and certain religious assertions that would seem fantastic and insane from most people. That is why I have been patient and meticulous in my efforts in recent years. It is also why the Vatican, working through its right wing proxies, have expended such great effort to target and strive to block me in recent years. It is vitally important for everyone's sake that I now go public so the insanity of recent years will finally cease. I have been maneuvered into this predicament while my opponents caused widespread mayhem and distractions. It is also why I need someone to show both courage and humility, and help me now. There is another at the bottom of my web page, via the "Feed the Kitty" link. The above link is the preferred one and it also shows my image.